Kobo, the Toronto-based company behind the recently released Vox tablet, is being bought by Japanese e-commerce giant Rakuten for $315 million. 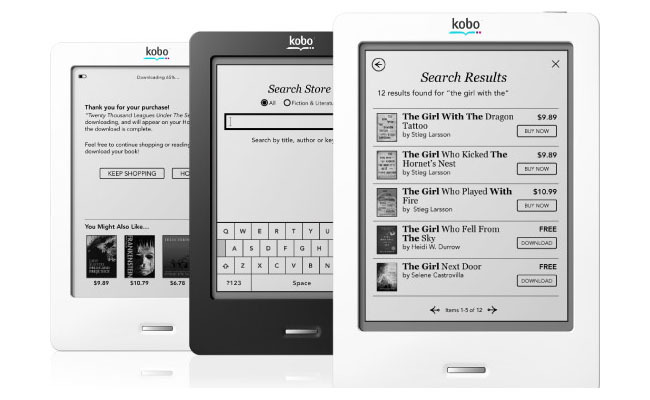 E-reader and e-publishing company Kobo has a catalog of more than 2.5 million e-books. Its e-readers include the Kobo Touch and Kobo Wi-Fi. Rakuten is one of the world’s top three e-commerce businesses (by revenue) and in the last year has ramped up its global expansion efforts with the acquisition of a number of e-commerce companies around the world. Acquiring Kobo continues this trend. The move will benefit Kobo by bringing it to a larger overseas audience. This should help with sales of its Vox tablet, which is being compared to Amazon’s Kindle Fire and Barnes & Noble’s recently announced Nook Tablet devices. Hiroshi Mikitani, chairman and CEO of Rakuten, said in a statement: “We are very excited about this next step. Kobo provides one of the world’s most communal e-book reading experiences with its innovative integration of social media….while Rakuten offers Kobo unparalleled opportunities to extend its reach through some of the world’s largest regional e-commerce companies.” These include the likes of Buy.com in the US, Tradoria in Germany, Rakuten in Brazil, and Lekutian in China, as well as Rakuten Ichiba in Japan. Although Rakuten is based in Japan, Kobo will continue to operate from its head office in Toronto, Ontario.